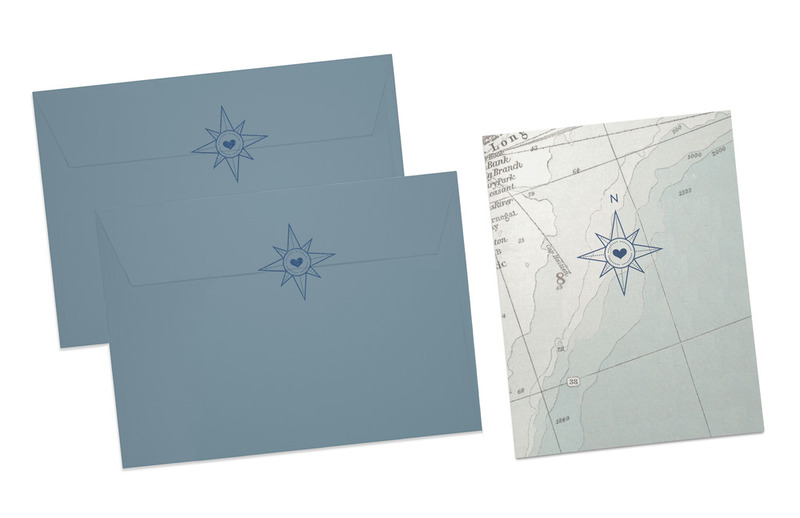 Megan and Charles wanted a custom design for their wedding invitation that told their story. The format and imagery were inspired by their nearly constant travels to see each other. Reverse doubles as both a legend of their relationship milestones as well as a travel guide for wedding guests, listing locations in North Adams, MA where the ceremony was held.